Columbus Day is an unusual American holiday. It doesn’t commemorate a President or a great American statesman. Christopher Columbus found North America, but he didn’t find, or found, the United States. But this misses the significance of why America celebrates Columbus Day. Leon Kass, Amy Kass, and Diana Schuab provide a thorough overview of the history and tradition of Columbus Day in their curriculum, What So Proudly We Hail. 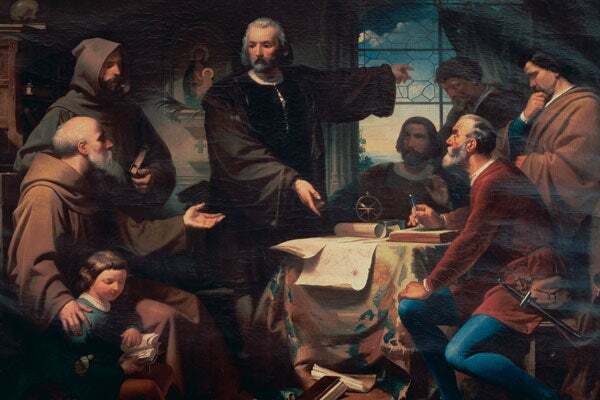 Columbus was indeed an important figure for many immigrant communities. More than that, Christopher Columbus has long been an American icon.